From the studio behind 2010's Tangled and Wreck-It Ralph, Walt Disney Animation Studios presents Frozen, the coolest comedy-adventure ever to hit the big screen. When a prophecy traps a kingdom in eternal winter, Anna, a fearless optimist, teams up with extreme mountain man Kristoff and his sidekick reindeer, Sven, on an epic journey to find Anna's sister, the Snow Queen Elsa, and put an end to her icy spell. Encountering mystical trolls, a funny snowman named Olaf, Everest-like extremes, and magic at every turn, Anna and Kristoff battle the elements in a race to save the kingdom from destruction. 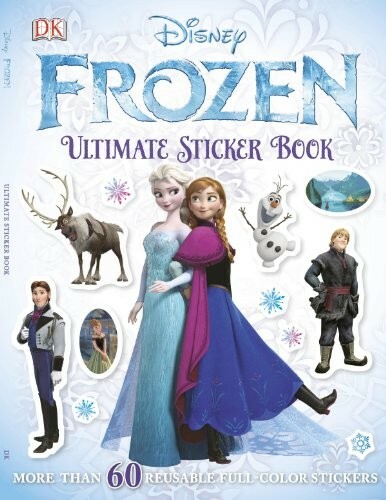 Kids everywhere are sure to love the new Ultimate Sticker Book: Frozen from DK. 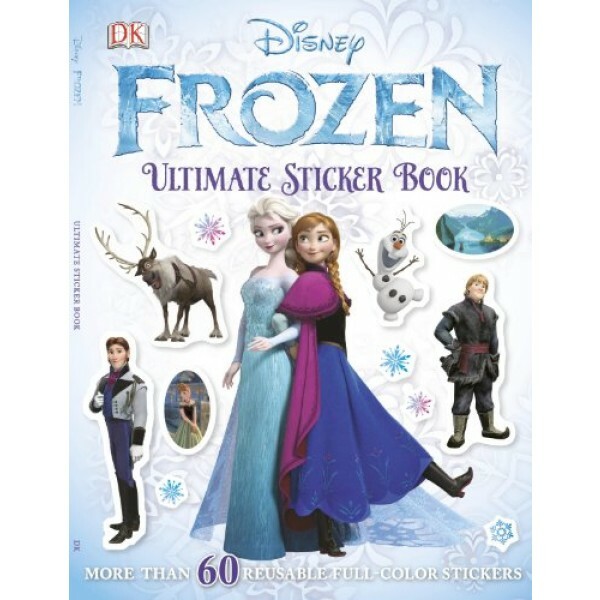 Packed with more than 60 exciting reusable stickers featuring beloved characters and icons from Frozen, kids will be able re-create their favorite scenes from the movie while learning fun and interesting movie facts along the way. For more Frozen-related items, visit A Mighty Girl's Anna & Elsa Collection.